We believe that weddings are not just one day in your life. They are a celebration of love that has taken years to grow, and will continue growing for decades to come. Therefore, we believe in embellishing just a bit. Our designs feature unique and creative touches, such as lace, handmade flowers, and Swarovski crystals, just to name a few. 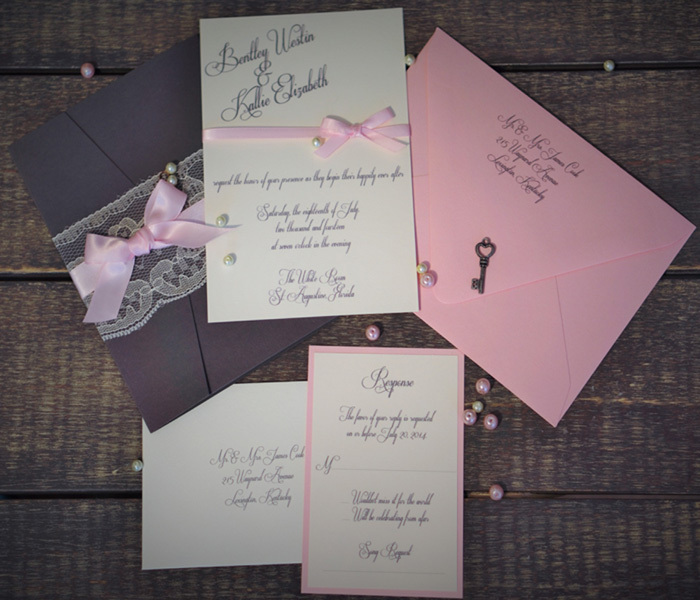 All of our invitations are customized and hand made one by one with the utmost care. If you don't see exactly what you're looking for, contact us and we'd love to make your dream come to life. 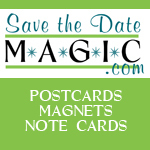 Save the date magic.com is the number one choice on the web for a place for you to design your own custom save the date magnets, postcards and note cards for your special day! Our superior customer services reps work with you once you place an order to make your save the date piece a memory of your wedding day. Utilize our services for invitations, a wedding favors for your guests, thank yous, and even future anniversary parties.